Hands are the most hardworking part of our body and it only makes sense to pay attention to them and do what it takes to keep them looking young, healthy and attractive. 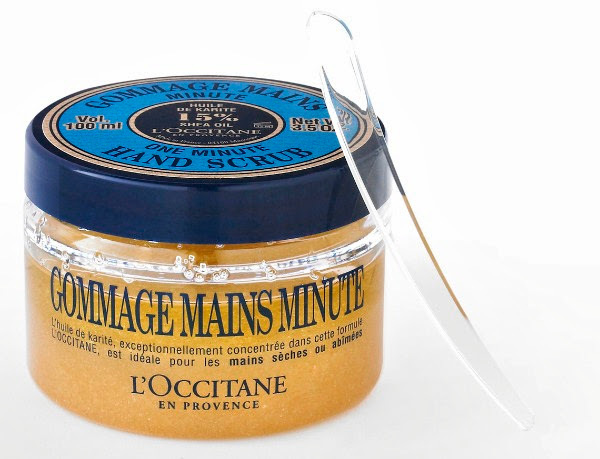 L'Occitane's new products turn a ho-hum task into a luxurious experience that you will look forward to everyday. Their new one minute hand scrub guarantees soft hands in 60 seconds. Organic brown exfoliating sugar gets rid of dead skin cells while shea butter, sweet almond and grape seed oil soften and nourish your skin. Follow with L'Occitane's Shea Butter Cuticle and Nail Cream which nourishes and strengthens nails and cuticles. Just apply one drop to the edge of each nail and gently message in a circular motion directly into the cuticle. Allow cream to penetrate fully then gently push back you cuticles. Finish with L'Occitane's best selling Shea Butter Hand Cream (a favorite of mine for over a decade) or try these new Shea Butter Hand Creams in 3 delicious new scents: Rose Tenderness, Passionate Jasmine and Subtle Violet. The new scents are also available in lip balms and body creams. 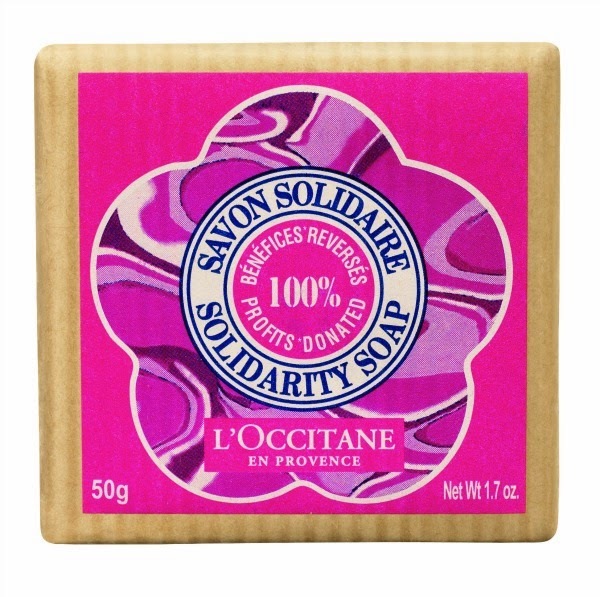 Also notable is their Strongest Commitment Solidarity Soap. 100% of profits from the sale of this soap goes to financing eye-health projects run by NGO's in developing countries with the support of the L'Occitane foundation. Buying L'Occitane doesn't only help you take care of yourself better but of millions of other women as well. L'Occitane only purchases fair trade shea butter from their sustainable, co-development partners in Burkina Faso. So join me and millions of other women as we empower each other and make the pledge to take care of our hands. See video below for the proper techniques used in hand care, share with your friends and don't forget to use the hashtags #happyhandsph and #loccitaneph.